Darwin is the fun younger sibling of Australia’s older and more stuffy capital cities. You can swim with crocodiles, enjoy fabulous sunsets and visit some of the word’s best beach markets. Bring the whole family along and let your hair down. 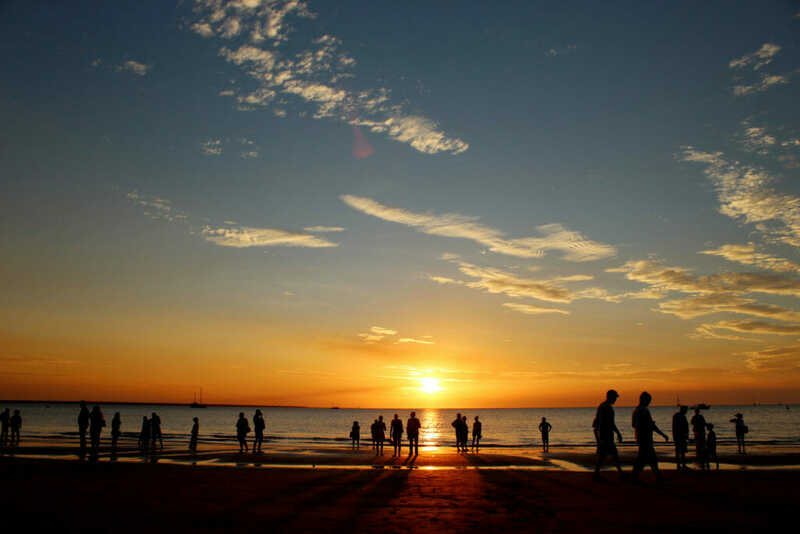 Soak up Darwin‘s tropical lifestyle and hang out at the Darwin Waterfront. 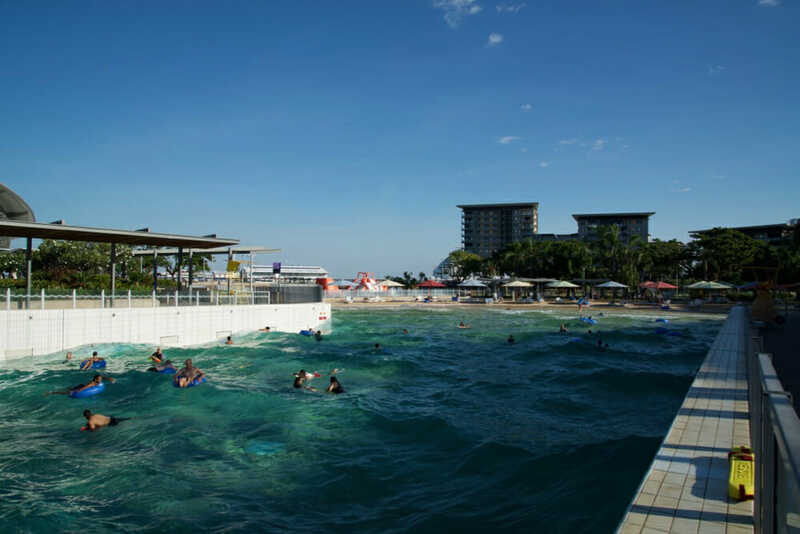 There are plenty of restaurants and cafes for adults to relax at, while kids (and adults too) will love the Wave Lagoon, where 20-minute bursts of simulated waves (followed by 10 minutes of calm conditions) will equal hours of fun. Next, Darwin’s Recreation Lagoon beckons. Here it’s all about cooling down and relaxing, enjoying the sunshine, tree shade, soft sand and lagoon swimming (there are mesh screens and a stinger net providing protection from marine stingers). 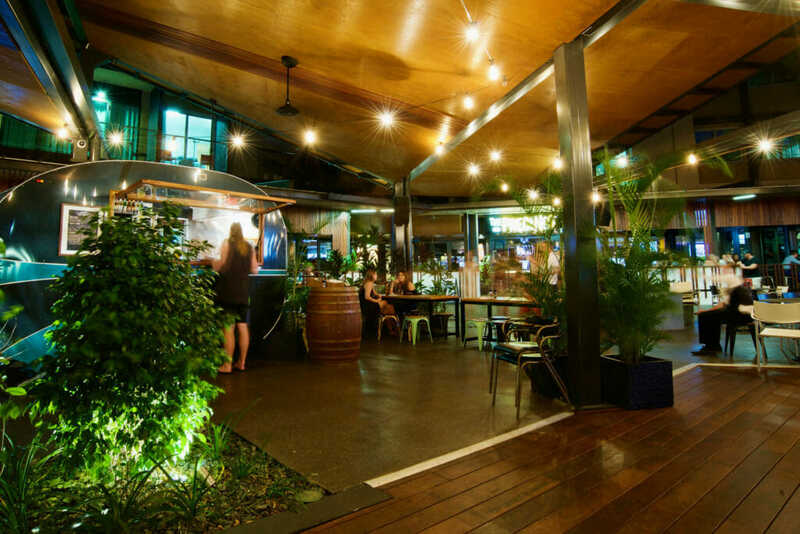 Located metres from the water, The Precinct is one of Darwin’s hottest places to eat. The wide-ranging menu features plenty of seafood, meats and vegetarian options, with small and big plates available – so there’s something to suit everyone and every appetite. The menu changes seasonally, so whatever you order, you can be sure it’s fresh and usually sourced from a local provider. For parents who are into craft beers, The Precinct has 46 taps to choose from. The all-weather outdoor deck is The Precinct’s newest addition, offering diners a lovely al-fresco space to enjoy their food along with Wave Lagoon views. 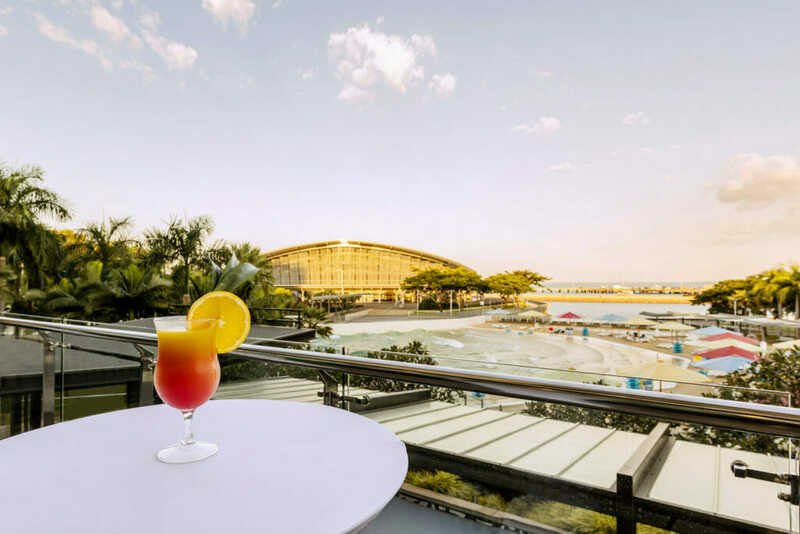 Vibe Hotel Darwin Waterfront is located smack bang in the middle of the action, close to the Wave Lagoon and all the waterfront restaurants, bars and shops. The hotel has 121 well-appointed rooms, with the option to interconnect two rooms for large families. There’s also a gym, pool, on-site restaurant and parking at the hotel, making it one of the most convenient stays in the city. Darwin is known for its epic mango-coloured sunsets and there are plenty of spots around town to enjoy the fabulous views. Darwin’s al-fresco dining is perfectly placed to take in the nightly show, so if you want to stay put at the waterfront you’ll be able to see the changing colours in the sky. Or, take a short drive to Mindil Beach for an epic sunset view. On Thursdays and Sundays from April to October, you’ll also catch the Mindil Beach Sunset Market here, with shops to peruse, delicious international food options for dinner, and jumping castles, clowns and children’s entertainment to keep the younger ones happy.